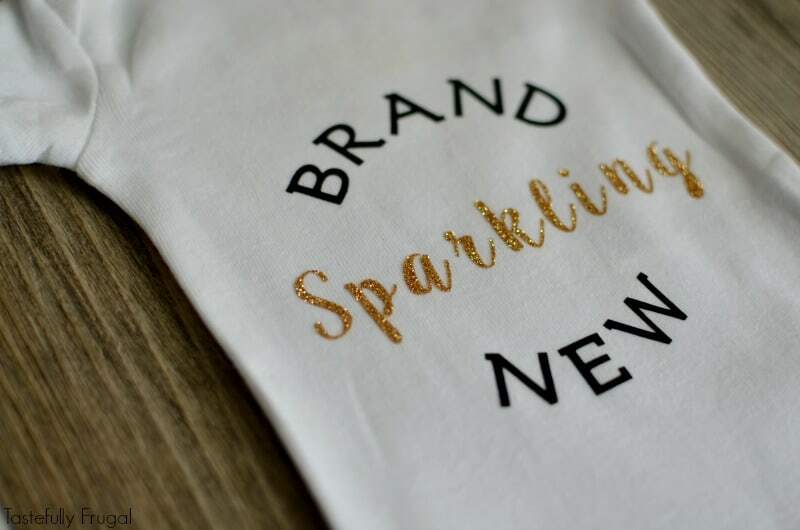 Welcome your little one into the world with this glitter and gold onesie! I can’t believe my baby girl is a month old already; well on Sunday she’ll be a month old. I went into labor with her 3 times and after the second time I made sure to make a to-do list so I could get everything done before she really come. 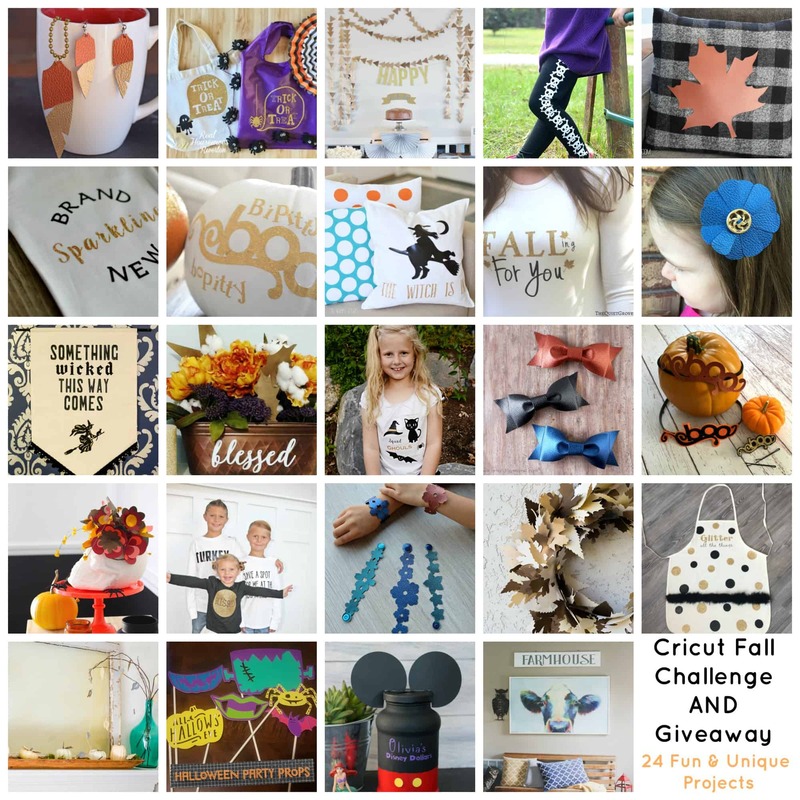 The last thing on my list was to finish my Fall Challenge project for Cricut. I got this awesome box of products from Cricut and was challenged to make something with at least one of the items in the box. Check back at the end of the post to see 23 more amazing projects. So the Friday before our due date I sat down and made this onesie. 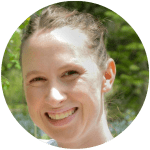 I was having some contractions but figured they were just Braxton Hicks again. But no, not four hours after I finished this onesie she was born! 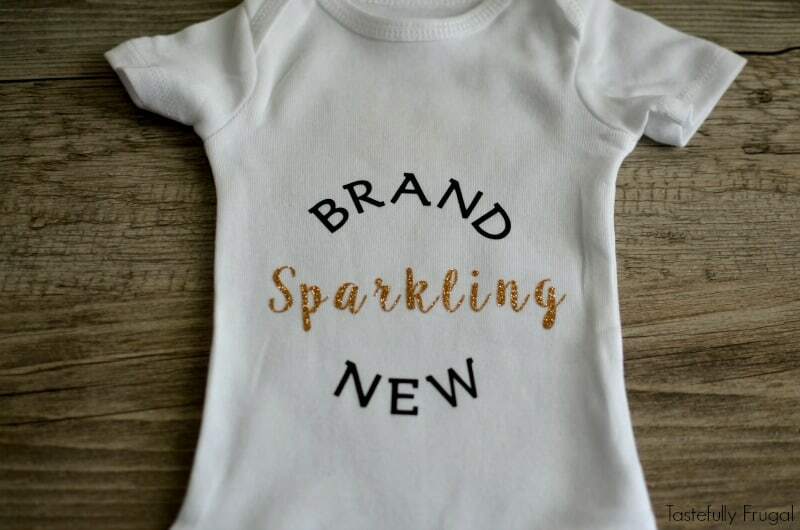 How’s that for Brand Sparkling New?! I’ve made several onesies for Mahle but this one is by far my favorite. Luckily she is a little lady and she still fits into this one. You can check out the other onesies I’ve made here. And if you’re looking for good quality onesies and clothes for your little ones you HAVE to check out Primary.com. Their clothes are so soft and the best quality I’ve seen! You can use code AFF25PCT to get 25% off and free shipping! 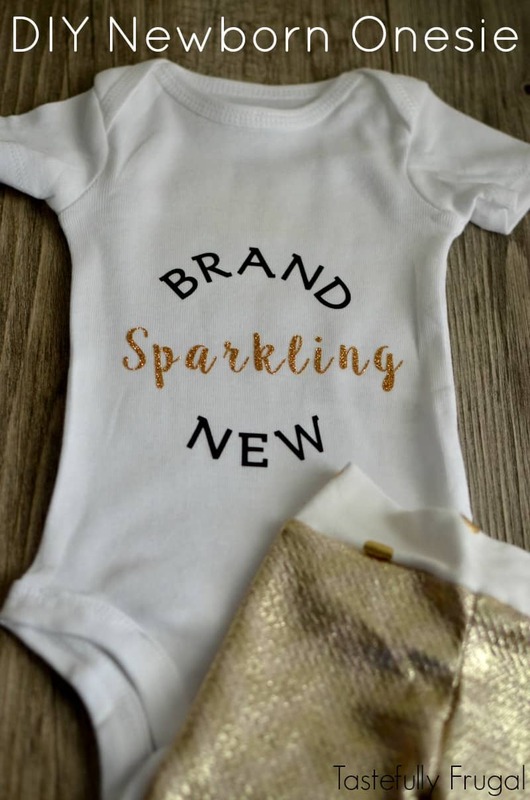 You can make this onesie for your little new arrival (or as a baby shower gift) just click here to cut your design out of black and gold iron on vinyl. 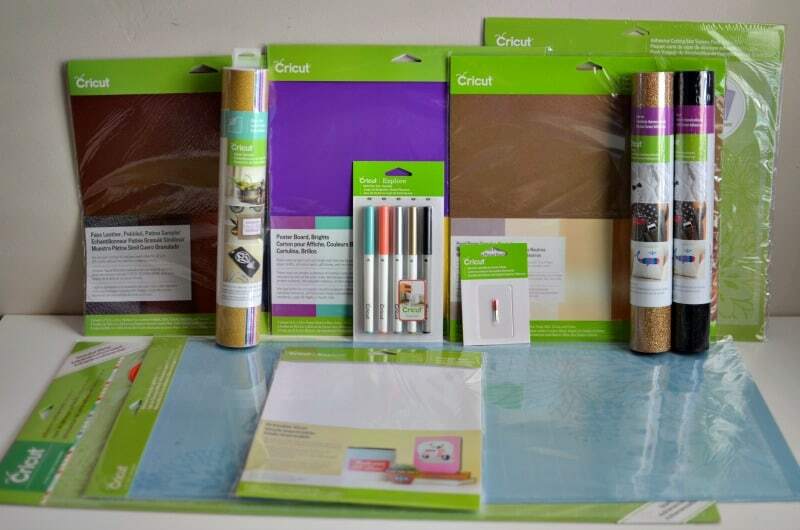 For a detailed tutorial on how to apply iron on vinyl check out this post. Congratulations on your new little addition! Love this onesie! This is so adorable! I have a friend having a baby and I’m going to make this for her! So much love for this darling little outfit. I hope we get to see a picture of your little princess in this one soon!